Dr Ralph Longhorn is a UK trained doctor and completed the majority of his anaesthetic training in the Yorkshire region. He gained particular experience in paediatric anaesthetics, with extra time spent in the Paediatric Intensive Care Unit. 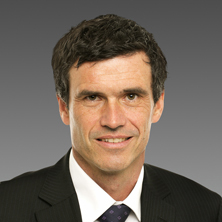 During his training, Dr Longhorn spent a signifigant amount of time in various other Intensive Care Units, enabling him to be competent in anaesthetising critically unwell patients.For the past 10 years, Dr Longhorn has practiced full time as a Specialist Anaesthetist in the Perth private sector. Dr Longhorn’s present day interests include anesthesia for ENT surgery including children and difficult airways, obstetric anaesthetics, anaesthesia for orthopaedic surgery and for plastic and reconstructive surgery.